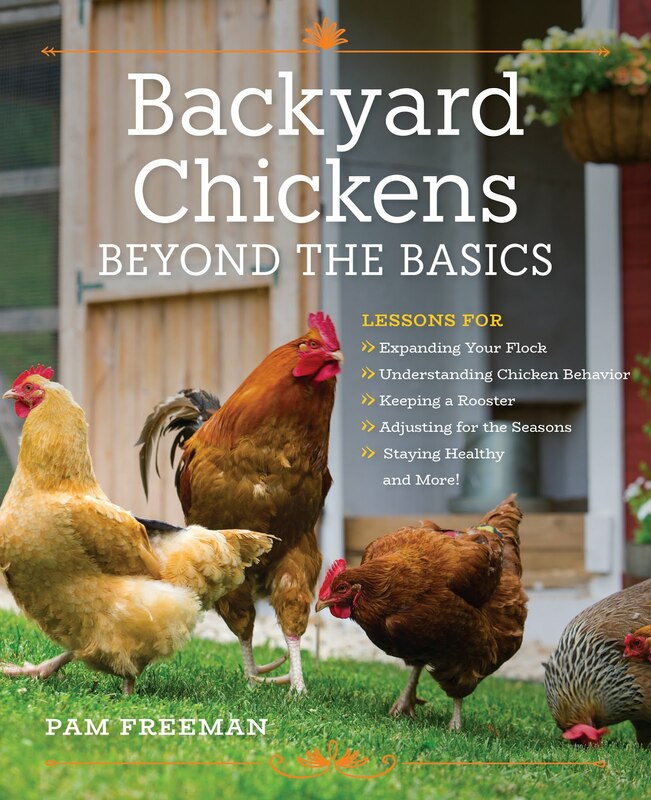 Pam's Backyard Chickens: We Moved! On their one week birthday, or should we say hatching day, the chicks officially moved to their bigger brooder. They had started attempting to fly and showing signs they wanted to perch, so I thought it best to give them more room to spread out and practice their new skills. The whole process was actually pretty easy and not very expensive. I went to the store and found a huge plastic storage container on sale. My husband and kids built a wire lid and we were up and running! 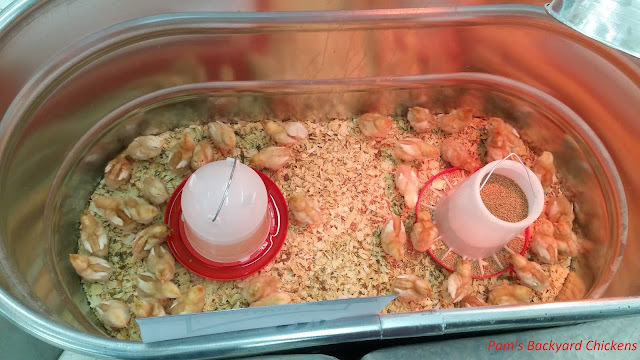 We filled the new brooder with fresh bedding and even made the chicks a small roosting bar. There was a lot of peeping as the chicks were transferred one-by-one into their new home. But, once there, they settled in nicely. The Light Brahma chick, who loves to climb on my hand and try to perch, immediately took to the new wooden perch. She loves to sit there and watch all her peers run around below her. The Speckled Sussex chick has been seen flying all the way up (maybe 6 inches) to the top of the perch supports. And, the Brown Leghorn chicks love to fly the length of the brooder. It's amazing how fast the chicks are growing. I remember being totally unprepared for this super-fast growth the first time we got chicks. This time around, I'm prepared, but still amazed!